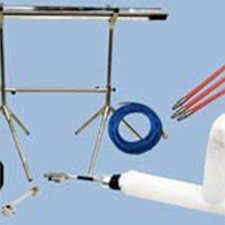 PrimeLine Products, Inc. of Altamonte Springs, Florida, is proud to offer you the highest-quality lateral connection repair solutions, products, and training for your plumbing or contracting business. If you provide lateral lining or lateral connection repair services, our line of equipment can help you get the job done right. With their multiple bends and diameter changes, lateral connections can be plagued by misaligned joints, cracks, invading tree roots, and other forms of major wear and tear. These issues can contribute to potentially large amounts of infiltration and inflow; structural damage; leaking downpipes and sewers; foul odors; and mold, mildew, and other possibly dangerous health contaminations. These issues must be stopped, but lining and sealing lateral connections without causing extensive impacts to property owners can be challenging. The Epros® DrainLCR-B method can repair small-diameter laterals without excavating, breaking walls and structures, and causing frustrating disruptions for your clients. It can rehabilitate in-house downpipes and underground sewers by inserting the repair unit through an existing access hole and inflating a resin-saturated liner with compressed-air push rods. 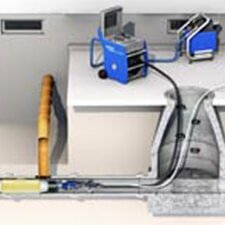 The Epros® DrainLCR-S method can repair and permanently seal main/lateral interfaces and connections up to 600 mm from the main line down into the lateral. The repair unit can be inserted into the existing access hole of the main sewer pipe, pushed to the point of repair, and a liner can be inflated to line and repair the interior of the pipeline. They cost you less money. These systems should require minimal equipment to successfully complete repairs, so you should have a small investment into the highly-efficient packers that you need. They take less of your time. The process should reduce your operating time by up to 50%. The lack of excavating and repairing your client’s property should also reduce the amount of time your team will need to spend on each project. They use less of your space. The LCR-B equipment can be folded, so it shouldn’t require much space in your company’s vehicles. They grow your customer satisfaction. The lateral connection repair methods can help you complete projects without excavating and breaking through foundations, driveways, or walls. The quicker, less messy, more efficient process can keep your customers satisfied and grow your word-of-mouth business. As a full-service provider of products for the Trenchless Rehabilitation Industry, our experienced team understands your needs, expectations, and technical requirements. If you want industry-leading solutions, top-quality products, or up-to-date training, contact PrimeLine Products, Inc. today. We’re here to partner with you to help grow your business and drive your success.